Blackberry's new device, the KEY2, was launched a short while ago. The device will be go on presale in the US on June 29, and will hit shop shelves on July 13–with a base price tag of US$649.99. 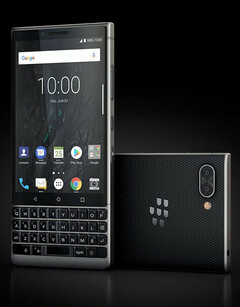 Blackberry unveiled its latest device a few weeks ago. The KEY2 succeeds last year’s KEYone as the company’s flagship device for the year, although it’s not exactly a device that goes up against flagships from other companies. Blackberry has finally revealed its sales plans for the KEY2 in the US. Going by the source, The KEY2 will become available for pre-orders on June 29. However, devices will not hit shop shelves till July 13. The device will be available in either silver or black, and can be purchased online on Amazon or Best Buy, with a starting price tag of US$649.99. That isn’t the friendliest of MSRPs, we’re inclined to say, but the KEY2 is, perhaps, the only premium device with a physical keyboard on the market, and it’s sure to appeal to a specific demographic. The KEY2 features a 4.5-inch FHD display, 6 GB of RAM, up to 128 GB of storage, dual rear cameras (12 MP + 12 MP), an 8 MP selfie camera, a Snapdragon 660, and a 3500 mAh battery.